Click Here to get your free gift, "Financial Planning Has Failed" ebook. 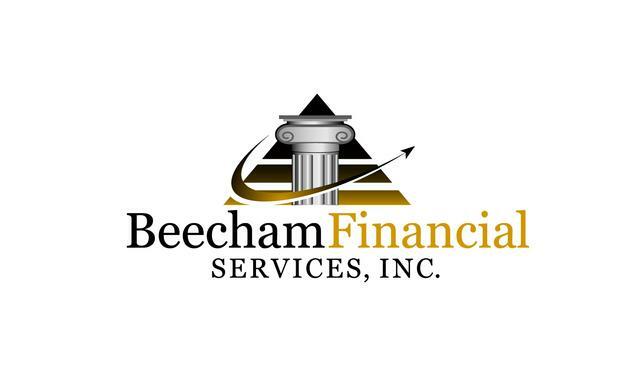 © 2015 Beecham Financial Services, Inc. 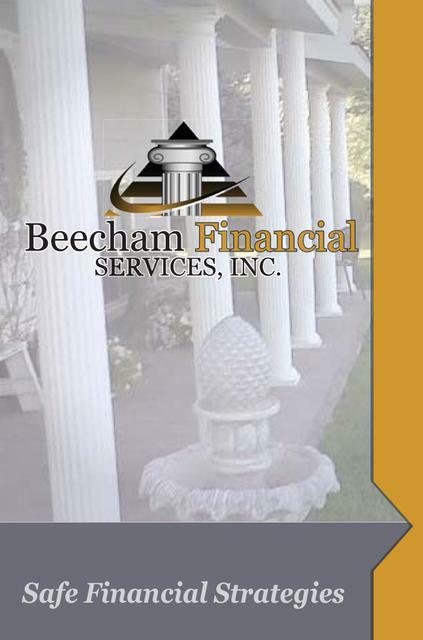 There seems to be no shortage of financial advice, but that has not led to economic success for most. Too many Americans are having trouble saving for their own needs and wants while struggling to pay down debt and keep up with the rising costs of healthcare and college educations. Many are saving in their 401ks and other qualified retirement plans, crossing their fingers it will be “enough.” Meanwhile, even those considered relatively wealthy are often unsure of how to grow their assets while protecting them from market instabilities, and taxes. doesn’t aim to help people succeed better at flawed strategies; rather, it offers a total paradigm shift about wealth-building. 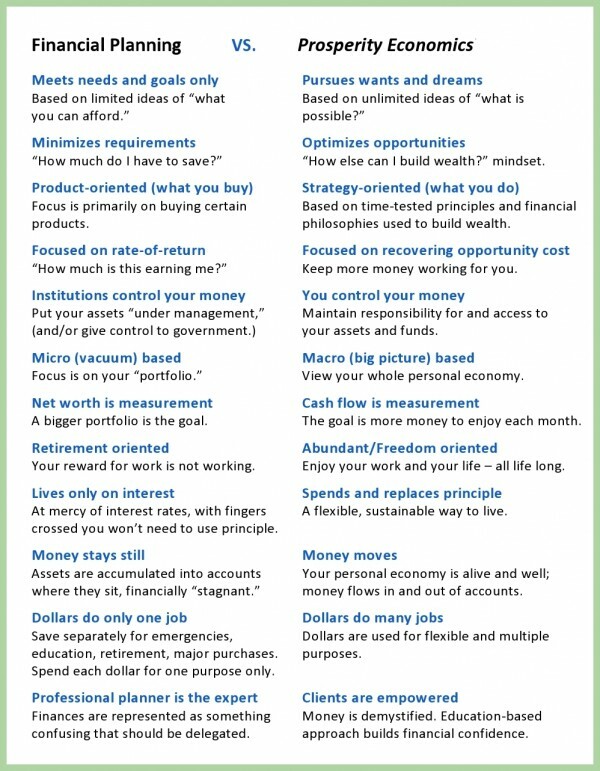 Prosperity Economics questions the financial assumptions we’ve come to accept as true and provides an alternative to “typical” financial planning. Prosperity Economics – What is it? While sometimes hailed as the latest greatest thing, Prosperity Economics hasn’t been so much discovered as rediscovered. Prosperity Economics employs common-sense principles and strategies that preceded the rise of 401ks and the financial planning industry. It shows us how to optimize wealth by keeping it in our control rather than delegating our financial futures to Wall Street, big corporations, and the government. Prosperity Economics can use traditional wealth-building tools such as owning a business, investing in real estate, and saving, borrowing and transferring wealth with dividend-paying whole life insurance. It's NOT gambling on Wall Street, or putting your nest egg into retirement programs where the government gets to tax them later. • Hand over all of your savings to companies who will charge “management fees,” whether or not your funds are gaining or losing? • Analyze your “risk tolerance” (i.e., how comfortable you are with losing money) while subjecting your assets to losses? • Max out your 401k and cross your fingers that you’ll someday have “enough” to live on, without running out? • Take tax deductions now by putting money in a qualified retirement plan, only to pay more taxes later? • Tie up all of your dollars in accumulation vehicles that penalize you for using your assets and prevent you from borrowing against your them? We think there’s a better way. 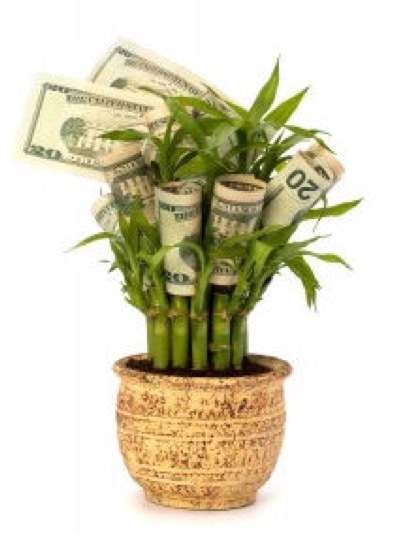 We practice Prosperity Economics because we don't believe that "typical" financial planning works very well! Commonly-accepted financial advice often does not tell the "whole truth" about your money, and it doesn't do a very good job of protecting your money, either. Typical financial planning is “better than nothing” and will get you partway up the hill, but we want to show you how to reach the “mountaintops” of prosperity. We invite you to explore this website and contact us to explore how Prosperity Economics can help you! Are You Protected From This Market Downturn? Wall Street Hopes You Never Ask This?